While Fulton Market is considered to be pretty small in terms of its total area, the real estate possibilities here are huge. With the re-development of the old Fulton Market Cold Storage Building, which now acts as the neighborhood’s anchor, as well as the incredible collection of upscale eateries, boutique shops, and antique shops that all line West Fulton Market, the Fulton Market neighborhood is bustling with new energy, and certainly an exciting place to now call home if you’re an active home buyer browsing the downtown Chicago real estate market. As for the boundaries of Fulton Market, those might vary a little bit depending on who you talk to. Originally, Fulton Market could be defined as the area that’s bounded by Carroll Avenue to the north, Aberdeen Street to the west, Lake Street to the south, and the I-94 expressway to the east. 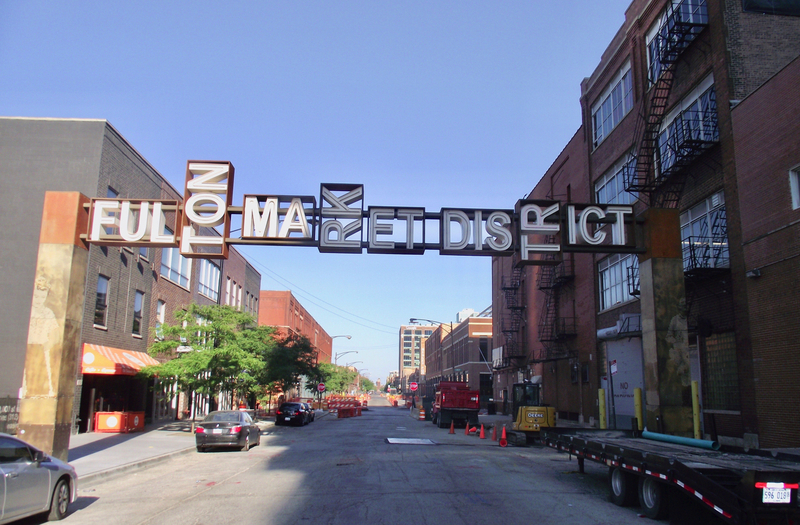 However, as development around the neighborhood has increased, many now recognize Fulton Market to cover a more expanded area, reaching as far north as Hubbard Street and as far west as May Street. Regardless of what you consider to be Fulton Market, however, there’s no doubt this part of downtown Chicago, and more specifically the West Loop, is continuing to transform before our very eyes, enticing home buyers looking for that ultra hip and ultra stylish new home in the Windy City to give Fulton Market some serious consideration. 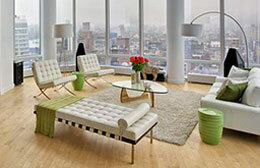 Thinking of Selling Your Fulton Market Home or Condo? If you're looking to sell your Fulton Market home, condo, or loft in today's ultra-competitive market, contact Gold Coast Realty to learn more about how we can get your property sold fast, and for the price you need! The primary issue with Fulton Market real estate, though, is that not many residential opportunities are available here. At least not yet. There’s no doubt that much of the Fulton Market real estate landscape is dominated by commercial property, and even still some industrial space as well, which makes inventory here tough to come by. Only a few all-residential buildings occupy a place on Fulton Market, while the immediate surrounding area doesn’t have many options either. 215 N. Aberdeen and 1152 W. Fulton Market are two of the nicer buildings in the neighborhood, while 740 W. Fulton Street also have some chic modern living spaces that continue to attract a wide range of buyers looking in the area. In terms of public transportation, the CTA Morgan/Lake Green and Pink Line station is probably the easiest way to get to downtown, which is only a few short blocks from just about any location in the Fulton Market neighborhood. Additionally, the #8 Bus also runs along Halsted, which can also get you anywhere north or south in a hurry. For more information about real estate for sale in Fulton Market, contact Gold Coast Realty today at (312) 280-9600!